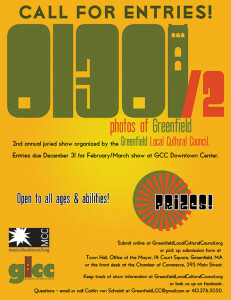 Have you submitted your photograph(s) to our second annual juried show “01301/2: photos of Greenfield” yet? You still have time! The deadline is December 31. The competition is open to all ages and abilities; the show will take place at the GCC Downtown Center February/March 2014. Show us what Greenfield looks like to you! 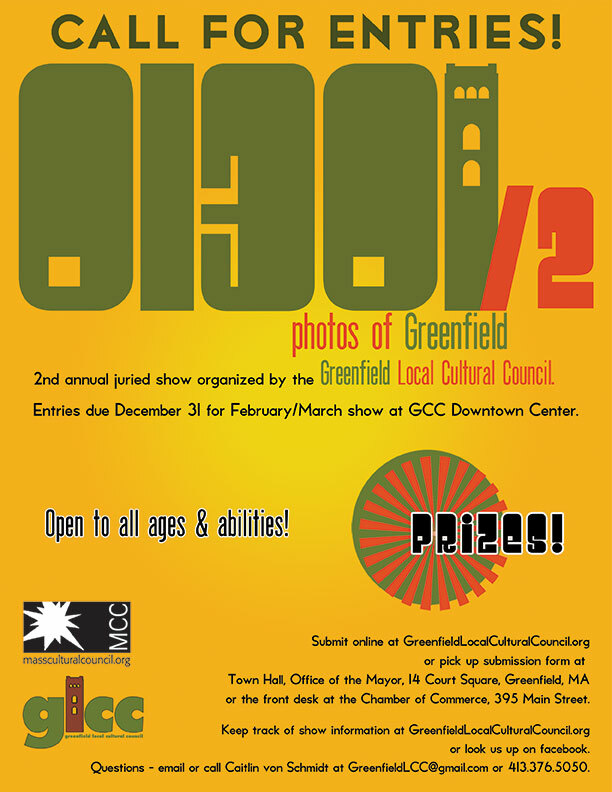 For more information, write info@greenfieldlocalculturalcouncil.org or click here to see the submission form. If you think you’re ready to submit, click here. This entry was posted in artist opportunities, GLCC events by admin. Bookmark the permalink.